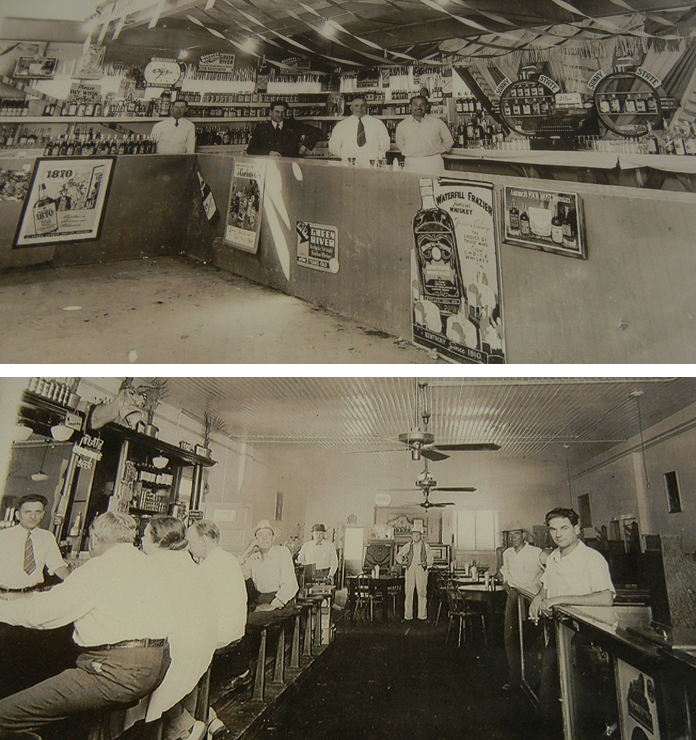 Around 1933, the Del Frate brothers went into business together selling mugs of beer as well as spirits and wines on the corner of Rio Grande and Central Avenue in Albuquerque, New Mexico. The “Beer Garden,” as it was known, needed a name so the brothers began to discuss possibilities. After many days of deliberation, one of the brothers noticed a cardboard cut-out of a group of palm trees, and “The Palms” was born. Guido then decided a dance hall used only on the weekends adjacent from Palms could be used for better purposes and began a small food market. 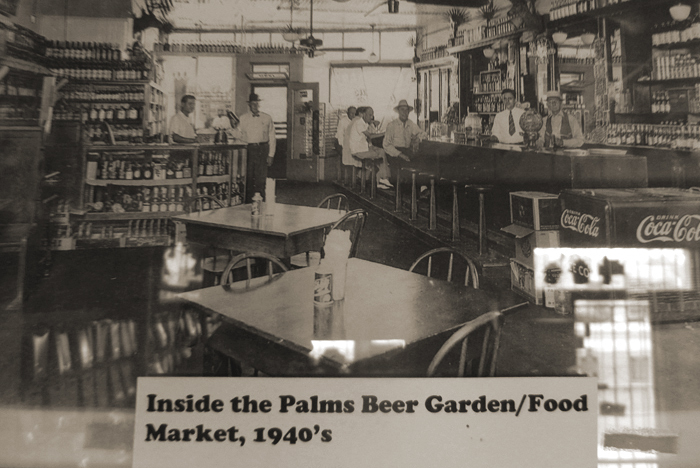 Since the Palms’ name was already well known in the area, “The Palms Food Market” prospered as one of Old Town’s original merchants. 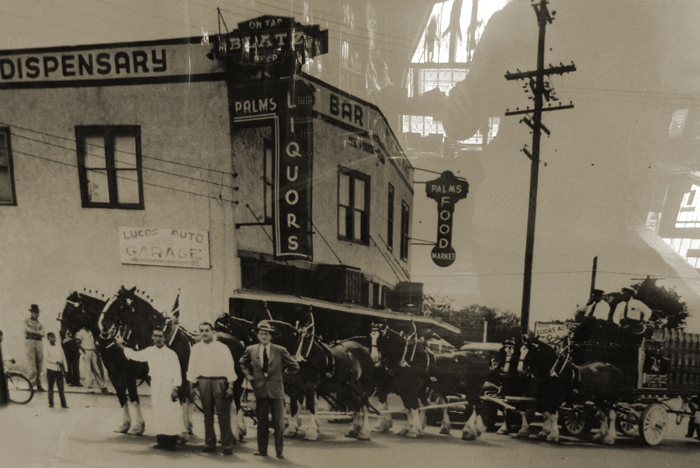 In 1967, Guido and his sons Angelo and Guido, Jr. decided to move the market and liquor store to a larger building on the family owned property at 15th Street and Lomas, just five blocks east of the original location. The new Palms Market was three times as big as the old one, but the quality of products was still as high as ever. People would come from all over Albuquerque and surrounding areas to buy homemade food items, however some of the most interesting “regulars”, came from the surrounding Pueblos of Acoma, Jemez, Santo Domingo, Santa Clara, San Ildefonso and others. 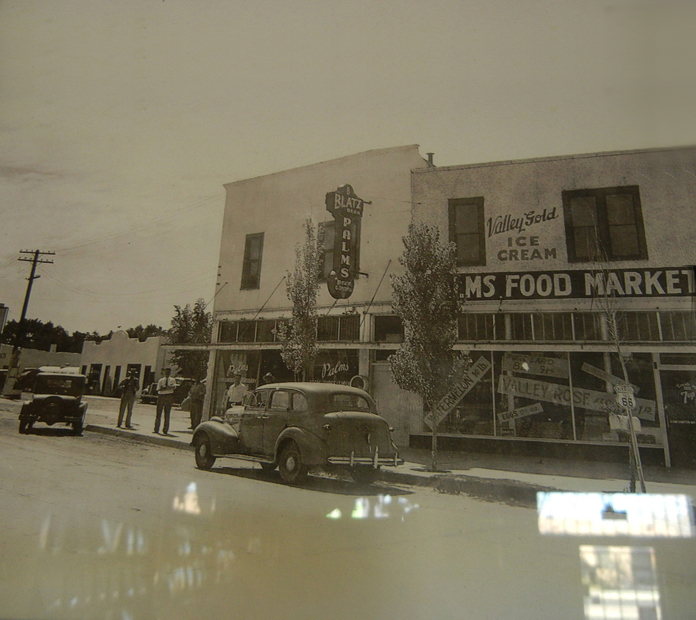 Thus, The Palms Food Market became a trade center in the 1960’s where Native Americans from surrounding areas could cash checks, buy groceries and pawn handcrafted items to acquire groceries. Years went by and the Del Frate’s accumulated masses of jewelry and arts from the artisans in trade for foodstuff. In approximately 1968, the market had acquired so much jewelry that Angelo put out word in the local community that there was a collection of Native American items at Palms in the back office; a space no bigger than eight by ten feet. In this intimate setting, the conception of Palms Trading Company began. Word spread of the interesting little place in Albuquerque that sold everything from French bread to collectible Native American jewelry-a true trading post. To this day, very little advertising is done, yet more people every year come to see Palms. Eventually Angelo and Guido sold the liquor license and began to buy inventory to fully stock a jewelry store. While the grocery store continued to operate as a service to Palms’ faithful customers, the jewelry business eventually took up so much time that the grocery store was closed. At this point, Angelo started branching out into other arts and crafts; namely pottery and rugs. Word spread so quickly that Palms soon acquired the largest combined jewelry and arts and crafts inventory in the world. Dealers from all over the world sought out Palms to supply their own stores with the finest merchandise at the fairest prices anywhere. The tradition continues today through the third generation of the family and will continue on into the future.